Let’s cut right to the chase: having a mobile app can help you get more customers, book more appointments, and increase revenue. For many small businesses, a mobile app is a great new way to connect with customers and open new marketing channels. 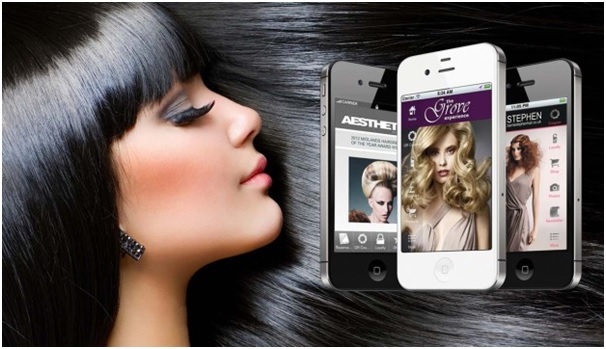 But for hair salons and barbershops in particular, mobile apps offer a bunch of great features to boost business cost-effectively. Customers can fire up your app and access mobile reservations linked directly to your in-house calendar. They can browse open slots and book appointments easily, while on the go. This saves your staff some time on the phone, and makes it simple for customers to get an appointment conveniently, especially if they don’t feel like calling in. You can send current customers reminders of regular appointments through your mobile app. By being proactive, you can likely capture a segment of customers that might have wound up visiting another establishment, or that just let it go too long between appointments. With dedication to securing more frequent appointments, you can increase your yearly revenue per customer (and keep the community from going too shaggy in between cuts). You could send these people to the salon down the street, just to be mean, but why not offer a style library in your app instead to help them pick out a style? Using a simple photo gallery, you can collect photos of various styles, and have customers browse and select specific haircuts. That way, you can improve communication about styles, and hopefully get some clear guidance about what customers like. Your app can also have a feature that lets customers take photos and email them to you. This is great for creating a database of customer photos for testimonial purposes, advertising, or just reference. If a customer comes in and can’t remember what was done last summer, but wants the same thing, you’ll have a photo that will tell you exactly what to do. Push notifications (messages that users get notified about on their devices home screen) allow you to drive activity on special promotions, deals, events, and offers. If you ever need to generate revenue during a down time, push notifications allow you to generate interest easily and proactively. A mobile app allows you to offer a mobile loyalty program (buy ten cuts, get one free, etc.). You won’t need to print up cards or track anything manually – it’s all done simply through users’ mobile devices. Whenever they make a qualifying purchase, just have them pop open the app and hand you their device. Using your secret code, you can then record the purchase. When the qualifying amount is reached, you’ll know. Pretty easy stuff. A mobile app can make referrals easy. With a single click, a user can post to a social media account on Facebook or Twitter about their experience with your business. This allows you to earn new business organically through the networks of existing customers. Gel, paste, wax, clay, or whatever the heck it is you guys are rubbing into our hair these days – you can sell it all through your mobile app. Customers can browse products, submit orders, and make payments easily, helping you open up a new revenue stream. The benefits are many and the costs are few – look into making your own app for your salon or barbershop sooner rather than later, though. If you move now, before competitors do, it can still be a distinctive advantage. In the future, as apps become more common, this will be less true. Last but certainly not least, a mobile app will put you on the cutting edge of digital marketing. Many salons are still using old-fashioned advertising techniques, so if you upgrade yours, you’ll have the advantage over all of your rivals. These are just a few reasons you should consider investing in a mobile app for your hair salon or barbershop. The 21st century is here, and it’s time to join it!